Last Wednesday, Cinionic was named “Innovator of the Year” by the Advanced Imaging Society (AIS) during its 10th Annual Lumiere Awards at the Steven J. Ross Theater on the Warner Bros. studio lot. The event recognizes outstanding international achievement in the creation of immersive storytelling using advanced visual technologies. Cinionic proudly joins past creative and technical recipients including Jon Favreau, James Cameron, Darla Anderson, Martin Scorsese, Ang Lee, Victoria Alonso, Jeffrey Katzenberg, and many others. 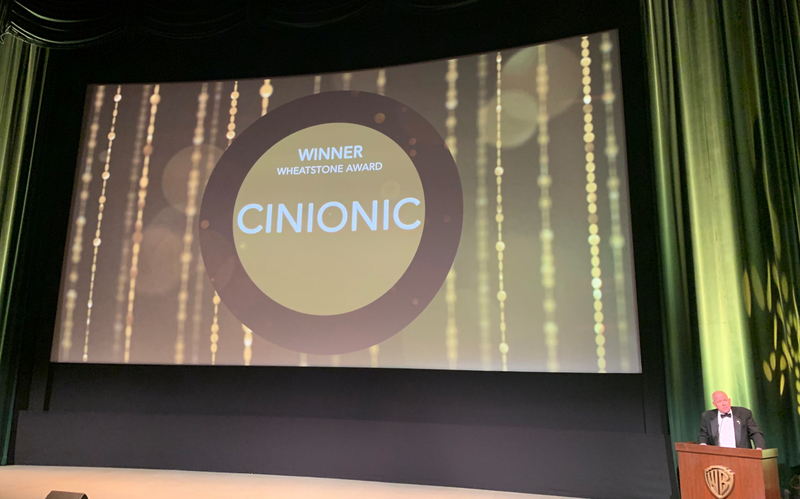 Cinionic took home the annual Sir Charles Wheatstone Award for the company’s technical innovation and service leadership in cinema. 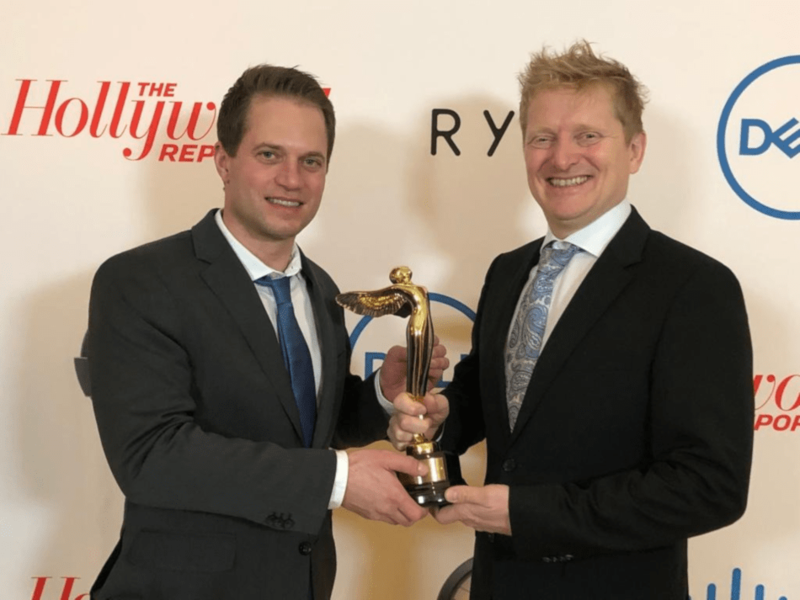 Wim Buyens, CEO of Cinionic and former General Manager of Barco’s Entertainment division, accepted the award in front of studio executives, filmmakers and technology luminaries all with the same mission as Cinionic – to move the cinema industry forward. In addition to “Innovator of the Year,” Cinionic was also recognized by AIS in December during its 9th Annual Lumiere Technology Awards for the Cinionic and Barco HDR Light Steering Cinema Technology. This is the second year in a row Barco technology has been recognized by AIS for its cinema solutions. Last year, the company also took home the ‘Technology and New product’ Award for its 4K laser-illuminated projector, and in total has received four Lumiere honors. Other winners include leading technology companies Apple Inc., IBM, and Google. The honors from AIS help Cinionic kick off a tremendous year of continued innovation. The Society has long been a respected non-profit association for international entertainment industry professionals, and Cinionic is honored to be alongside others helping shape the future of visual entertainment. It fuels our commitment to continue leading the movement to deliver amazing experiences and growth across our industry.